The USA, which has a long history of legislating against online casinos, was a prime target for a digital currency revolution. In 1992, America introduced the Professional and Amateur Sports Protection Act (PASPA), a piece of legislation that effectively banned sports betting in all 50 states at a federal level. Not long after in 2006, the Unlawful Internet Gambling Enforcement Act (UIGEA) was passed, placing a stranglehold on internet poker operators and the players which used them. The act of 2006 was an all-American dismemberment of the online gambling sector, pushing players to visit bricks and mortar casinos in major gambling destinations such as Las Vegas and Atlantic City, lining the pockets of casino lobbyists across the country. These two acts, which amounted to nothing more than an attack on the freedom of American citizens, led to one of the greatest success stories of the Bitcoin saga and beyond. A large number of people credit Silk Road and the “dark markets” as the sole reason for Bitcoin’s early success. The cryptocurrency’s role in gambling has been widely ignored and the history of this fascinating market has been left relatively unexplored. This article will be an eye opening insight into the history of the cryptocurrency gambling sector and the exciting future that lies ahead. 3 years after UIGEA, in 2008, an anonymous inventor under the name Satoshi Nakamoto published the Bitcoin Whitepaper in which a new form of money was detailed. This money, or “cryptocurrency” as it was called, offered its users “peer to peer electronic cash” with no central governing body and high levels of privacy. The paper was a radical step forward in the way people thought about money, leading to the first Bitcoin block being mined on January 3rd 2009. The peer to peer nature of Bitcoin, coupled with its high degree of anonymity, led to a handful of visionaries exploring the potential for BTC as a tool for circumventing the hardlined casino legislation in the US. Bryan Micon is an ex poker professional who became chairman and advocate for the SealsWithClubs poker website in 2011. The platform became a leading destination for American players looking to get back to the online poker tables following on from the 2006 collapse of the market. One of the first people to pick up on the function of Bitcoin in the gambling market was CEO and libertarian, Erik Voorhees. Erik founded SatoshiDice.com in 2012 and became one of the founding fathers of mainstream cryptocurrency gambling. He later sold the website for $12.4 million and attracted the attention of mainstream casino operators. 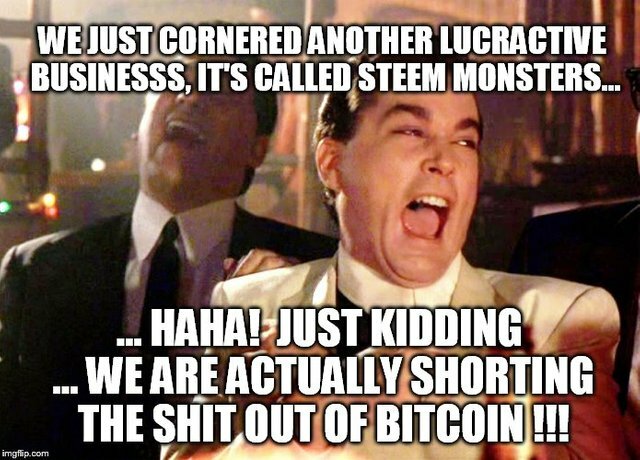 Both of these individuals have now taken a step back - at least publicly - from the cryptocurrency gambling scene in the United States. These early pioneers have been followed up by a host of anonymous Bitcoin casinos which accept - knowingly or unknowingly - deposits and withdrawals from those in the USA and have led to the unleashing of an entirely new gambling sector. One of the most popular games which caught the imagination of gamblers worldwide was the introduction of Bitcoin dice. Dice was the first game to offer “provably fair” gambling, a means by which players could test that the result of a roll was not tampered with and was truly random. The technical details of Provably Fair gambling are a little complex, however for those interested in how it works, a full explanation can be found here. SatoshiDice.com was one of the first casinos to provide this type of gambling, sparking an industry that soon filled with over 60 other dice sites, each offering a slightly unique “spin” on the game. In 2017, as reported by TheBitcoinStrip.com the top 10 Bitcoin dice sites took in over 29 billion bets with the popular Bitcoin game, bustabit, earning a massive 1,700 BTC ($4.7M at the time) profit across 305.99 million bets. Primedice, while not as profitable, was a huge success in terms of total bets, seeing its players make over 16 billion wagers throughout the year. 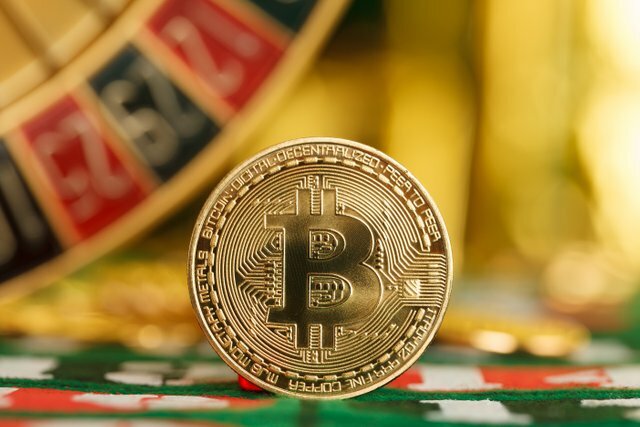 The volume of bets as well as the bottom line profits of the Bitcoin dice industry saw the arrival of many new Bitcoin casinos, many of which had mainstream appeal. Casinos like Bitstarz, Betchain and mBit Casino came to the scene not long after 2012, each bringing a level of professionalism that had not been seen in the crypto gambling market until then. While these casinos operated under strict “know your customer” (KYC) and anti-money laundering (AML) laws and refused to accept players from the USA, their arrival to the market set a new tone for the sector and opened the door for many more serious operators. While the Bitcoin casino market has matured enormously since 2009 with the likes of SoftSwiss now providing Bitcoin payment rails to dozens of casinos, a new kid is on the block and the potential for yet another evolution of the space seems inevitable. Ethereum, which launched in July 2015, is similar to Bitcoin in that it allows peer to peer payments and is secured by near-identical cryptographic mechanisms. The defining feature of Ethereum, however, is that it is “Turing Complete” and allows anyone to deploy code to its blockchain which will then operate autonomously for anyone to interact with from anywhere in the world. This code can be scripted to perform any computational task and, like with Bitcoin, some of the first applications to be built using the tech have related to gambling. These scripts, which many refer to as “smart contracts”, can make payments based on an outcome without any trust between parties required. In the case of cryptocurrency gambling, the outcome is the result of a random number generator and the payout transaction is either to the house or the player. Unlike Bitcoin, which requires a central casino operator to process deposits and withdrawals, Ethereum can make these payouts without any human involvement. The advantage of this is that players can now gamble, not only anonymously, but also with absolute confidence in the casino operator’s honesty in paying out. The Ethereum casino market is particularly young and there have so far been no mainstream operators entering into the space. However, game programmer and founder of the poker software, PKR, formed the Ethereum-based casino protocol, FunFair in 2016. FunFair provides “the rails” for casinos to operate on the Ethereum blockchain, harnessing the various platform benefits of Ethereum and enabling players to bet via smart contracts. In September 2018, FunFair launched CasinoFair, their first casino brand to operate using this protocol. The success of CasinoFair is still too early to determine, however if the owners of FunFair are correct in their assessment of the market (that players demand absolute trust), then the brand stands to be a major winner in this space. 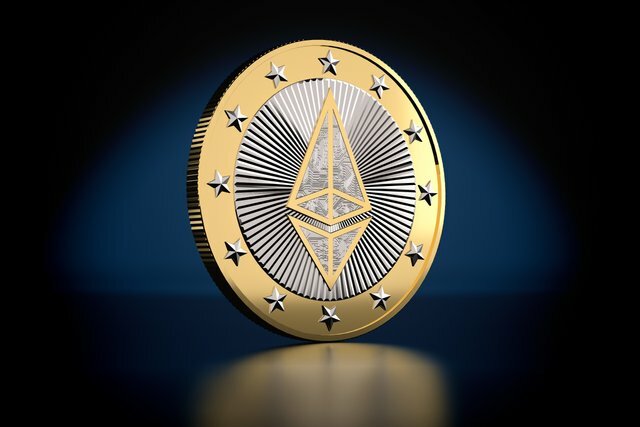 It is this author’s opinion that, while Bitcoin opened the door for many smaller casinos to enter the market using simple deposit and withdrawal mechanisms, Ethereum will do so to a much greater extent but without the casino ever taking custody of player funds. Going further, players using casinos on the Ethereum blockchain will soon be able to bet using stablecoins like MakerDAO’s DAI, reducing the need to deal with volatile currencies such as ETH or BTC. Well, in my opinion, the development of digital currencies and online gambling is something that was meant to happen. These industries are improving together with technological progress. So, it's no wonder that the advantages of both these technologies were combined, and now we have something new and exciting. Yeah exactly, cryptocurrencies increases the ease of business for online betting platforms. I really like Wagerr. Don't have a stake on it but I'm following it closely. Gambling seems to be growing so it may be perfectly legal soon. Yeah, I think so. The world is moving on towards more openness. But there is one problem that arises when a cryptocurrency is in fact an online currency collided with the physical world, when we will transact in the real world. When we have crypto money in large quantities we have to cash into the real world first so that we can use it for any transaction. Especially when in the gambling sector, the role of cryptocurrency is proven to be able to increase the number of transactions and also increase the rating for casinos that use a cryptocurrency payment system. It's just again from the consumer's point of view. Thank you for sharing .. The article is very interesting and educative. It reminded me about the benefits that Blockchain can bring into gambling. I made additional research and learned that some people believe in Blockchain’s capability to reduce trust and reputation issues in gambling. By providing transparency, it should make the gambling industry more attractive, including lower transaction fees and quicker withdrawals ( https://www.quora.com/What-would-be-the-benefit-of-gambling-using-crypto-currencies-like-Bitcoin ). I also heard that many people believe in the benefit of gambling & crypto alliance. And I noticed that many trusted experts and bloggers support this idea too. Katie Isaacson belongs to the number of these enthusiasts. She has an article devoted to Blockchain gambling https://www.katiewager.com/blockchain-gambling on her blog, which also raises the question of Blockchain benefits for gambling business, and observes other aspects like legality, anonymity etc. As for me, her articles and reviews are worthy of reading and can be used as a tutorial material. Agree with Bitma. I also like to read the materials from experts. I tend to trust and rely on their experience, as they are more or less able to provide us with clear explanations and to give some tips. The only trick with this is cashing in and cashing out. As we've seen in countless cases, payment processors do not act in good faith. If you aren't careful, you'll end up with a bunch of crypto that you can only "cash out" by buying Amazon gift cards with it (among other things). You are absolutely right. But I think it has more to do with governments than with the projects and it's not an inherent problems. The licenses for Payment processors requires immense fee's so it's somewhat hard for relatively new payment processors to offer quality services. I know it's not a good excuse but still that's how it is. Established payment processors such as Skrill and Paypal has no such issues but the problem is they are hesitant to enter this space.